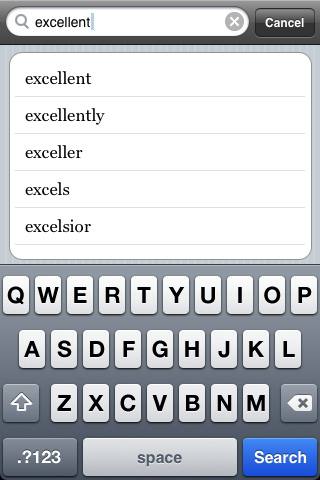 You can select many dictionary in the collection of more than 200 free dictionaries to use. 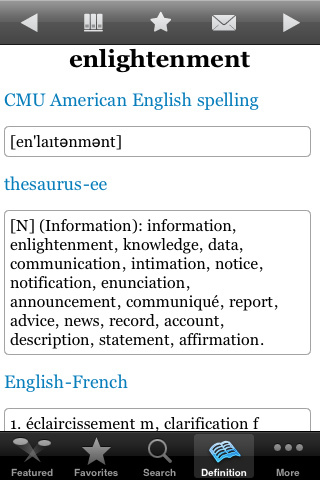 Please download new dictionary from our server when needed. It's totally free!!! 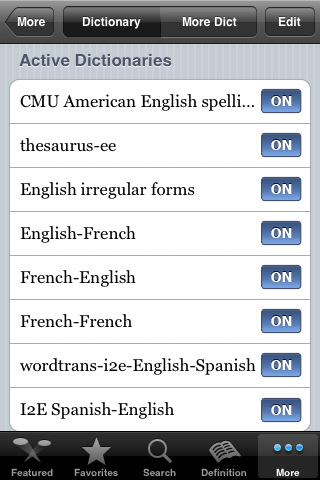 - Supports view definition of a word in many languages at once! 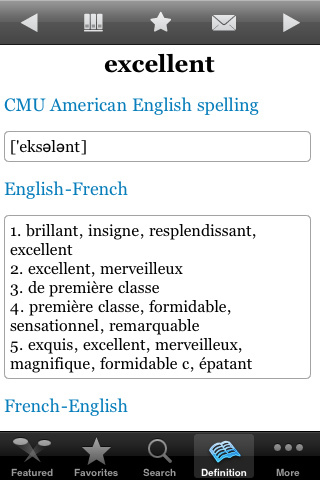 - Pre built-in many dictionaries such as: English <-> French, English <-> Spanish, English <-> German, English <-> Italian, and many more!